Chanel Summer 2016 - Dans La Lumiere De L'Ete - makeup collection celebrates the colors of a desert oasis with bronzed metallics and shimmery greens. 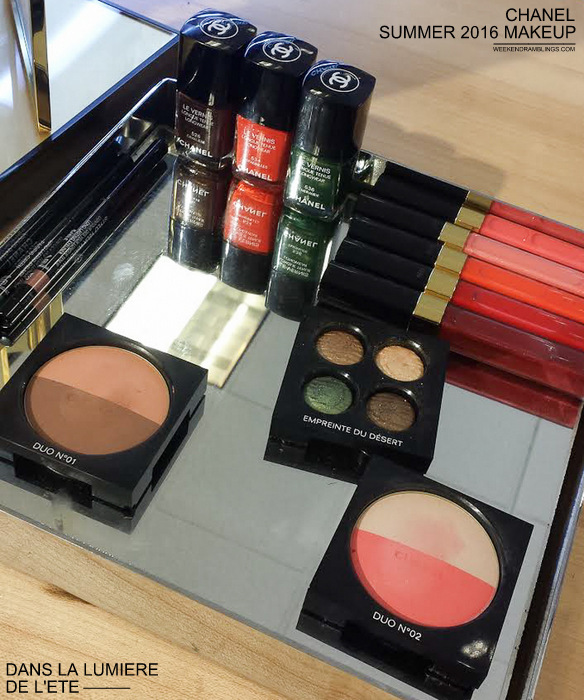 The collection includes 5 nail colours, 2 versions of the Les Beiges Healthy Glow Multi Colour powders in a contour and blush format, as well as some glosses and eye makeup products. I spotted some of the products at my local Nordstrom and snagged swatches to share here. Scroll on for more. I have always been a bit skeptical about cream eyeshadows - the oh-so-convenient, slather on and forget miracles - and with good reason. Up until recently, most cream eyeshadows that I have tried have been nothing short of terrible. Smudgey, crease-prone, shimmery nightmares! Looks like the geeks at makeup HQs all around the world have been working at solving this issue, and the newer versions of cream eyeshadows have been quite impressive. 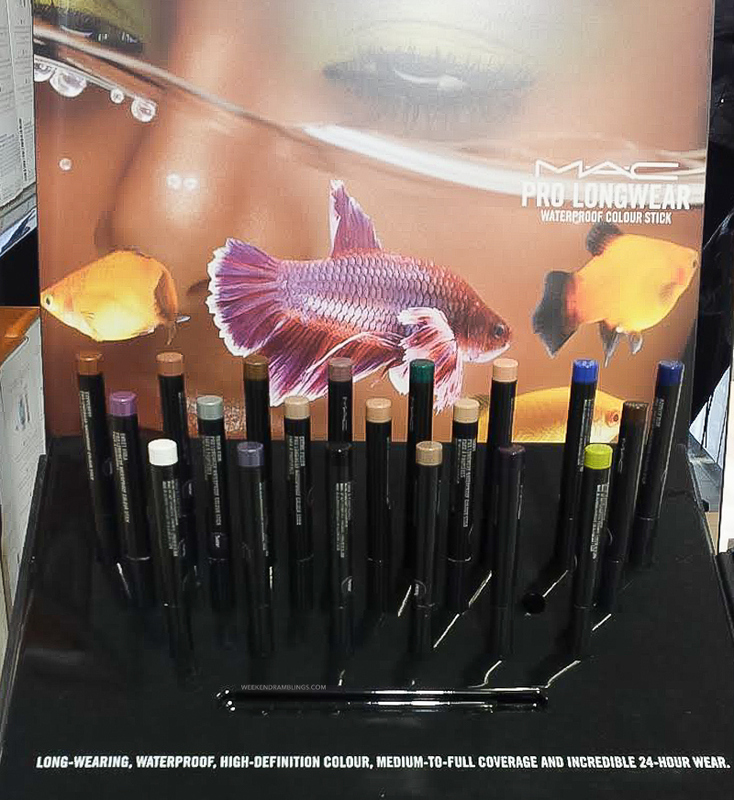 My favorites are the longwear eyeshadow sticks that a lot of brands have been coming out with, and the new MAC Pro Longwear Colour sticks are a welcome addition to the trend. These jumbo cream eyeshadow sticks (that's what I call these "colour sticks") are easy to carry around, are quick and easy to apply, and the pencils are retractable. No need to stock up on (and then promptly lose) sharpeners. MAC claims these pencils are long-wearing and waterproof with medium to full coverage (sounds more like a foundation to me), and I must say, going by what I swatched in stores these pencils definitely live up to those claims. I had a minor panic attack because the swatches just won't budge off my hand. Scroll on for more photos and swatches.